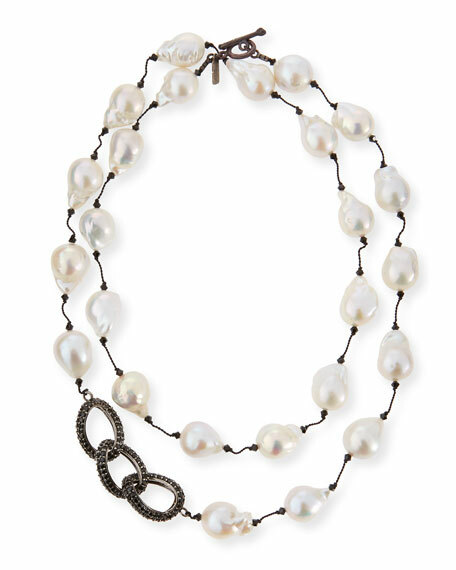 Margo Morrison Baroque Pearl & Black Spinel Link Necklace, 35"
Margo MorrisonBaroque Pearl & Black Spinel Link Necklace, 35"
Dyed, freshwater baroque cultured pearls. 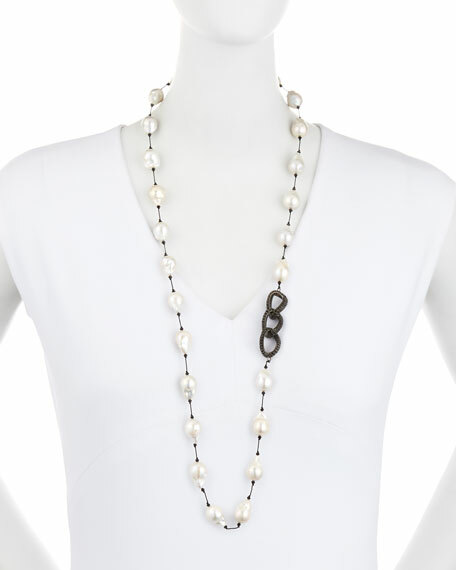 Sterling silver curb chain links with black spinel pavé. Rhodium-finished sterling silver toggle clasp.